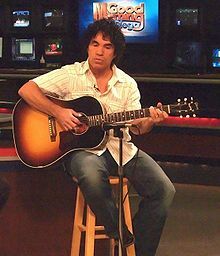 John Oates is scheduled to play at the Hard Rock Hotel on Thursday, June 28th, 2012 at 6:30pm as part of their Velvet Sessions concert series (click here for tickets). Tickets are $29 online or $35 at the door and includes specialty drinks and finger foods from 6:30 pm until show time, live music and cash bars from show time onward. Valet Parking is complimentary. This entry was posted in Concert and tagged Hard Rock Hotel, Pop on June 7, 2012 by Orlando Concert Guide Staff.